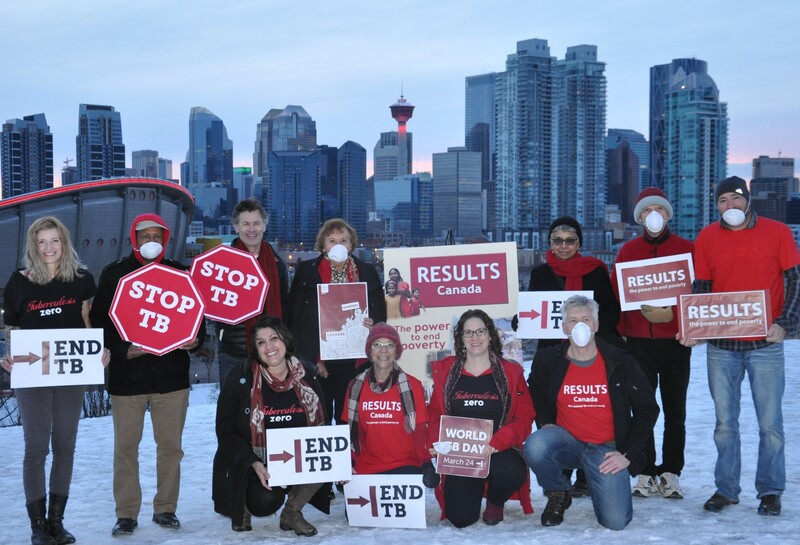 Members of the Calgary Group raise awareness about the importance of tackling tuberculosis (TB) on World TB Day, March 24, 2018. The Calgary Group is one of the longest standing chapters of RESULTS Canada made up of dynamic and vocal volunteers. Every month they get together and pull their strengths to advocate and raise awareness around issues linked to global poverty. They are passionate about creating a more just world for all! In November 2018, RESULTS Canada launched an end-of-year fundraiser aimed at raising some crucial funds to support and help broaden its impact around global health and sanitation. The fundraiser shed light on the fact that 1 in 3 people on the planet don’t have access to a toilet – something most of us take for granted. A friendly competition took place amongst the RESULTS Canada Groups to see which group would be able to secure the most donors. It was a close race, but we’re happy to congratulate the members of the RESULTS Calgary group for securing the first spot! Great job all and thank you for all your support!